The Nigerian Senate says it would not stop Delta lawmaker, Ovie Omo-Agege from attending plenary on Tuesday, May 15, 2018. The Senate had suspended Omo-Agege for 90-legislative days over matters related to the reordering of elections. 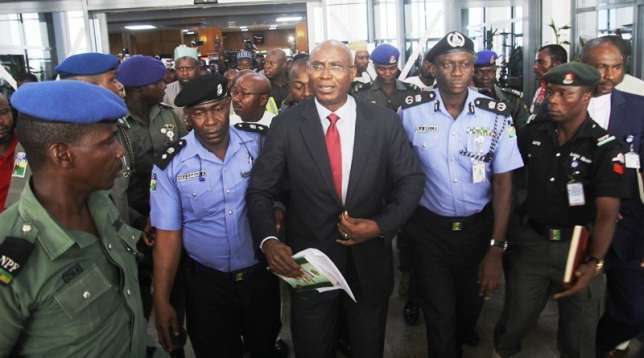 Omo-Agege headed to court and he had the Senate decision overturned on Thursday, May 10, 2018. Justice Nnamdi Dimgba, in a ruling, said the Senate can only suspend an erring lawmaker for 14 legislative days. The Senate appealed the ruling by Justice Dimgba. Speaking to ChannelsTv, Omo-Agege said he would resume plenary today. In a statement by its spokesman, Sabi Aliyu Abdullahi, the Senate noted that it would await the judgment on the matter before its next line of action. “The Senate leadership has been briefed by our lawyers on last Thursday judgement of the Federal High Court, Abuja, on whether the Senate has the legal authority to suspend a member for certain misconduct or not,” the statement said. “The Senate has been advised that since the motion for stay of execution of the Thursday (May 10, 2018) judgement shall be heard and possibly determined on Wednesday, May 16, 2018, we shall therefore respect the subsisting High Court judgement and await the appellate court decision on the pending motion,” it added.